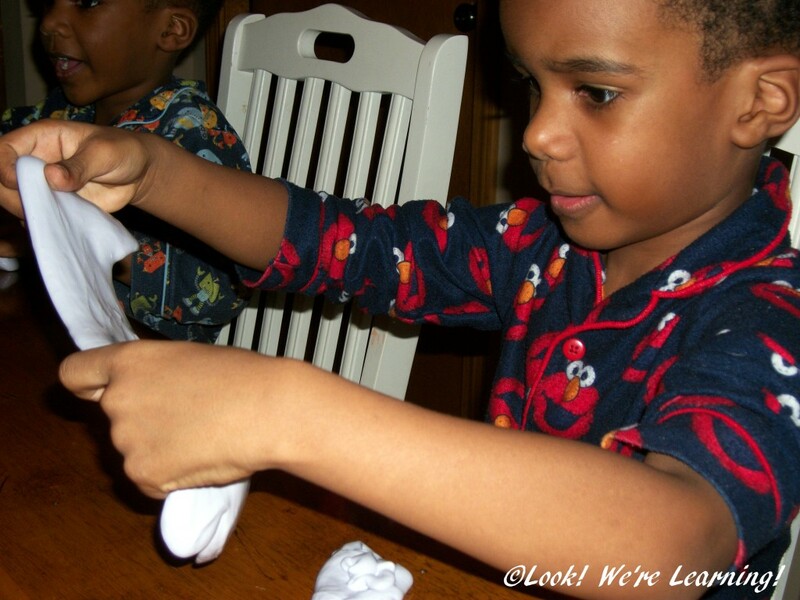 DIY Flubber for Kids - Look! We're Learning! My kids, like most children, love to play with playdough. So we’ve done a LOT of playdough activities for kids over the years. 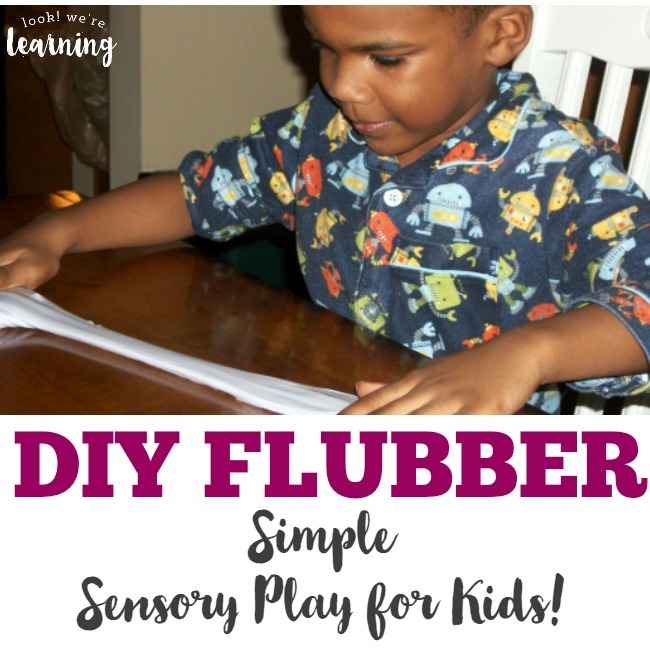 But for a new sensory experience, we decided to make something different: DIY flubber! 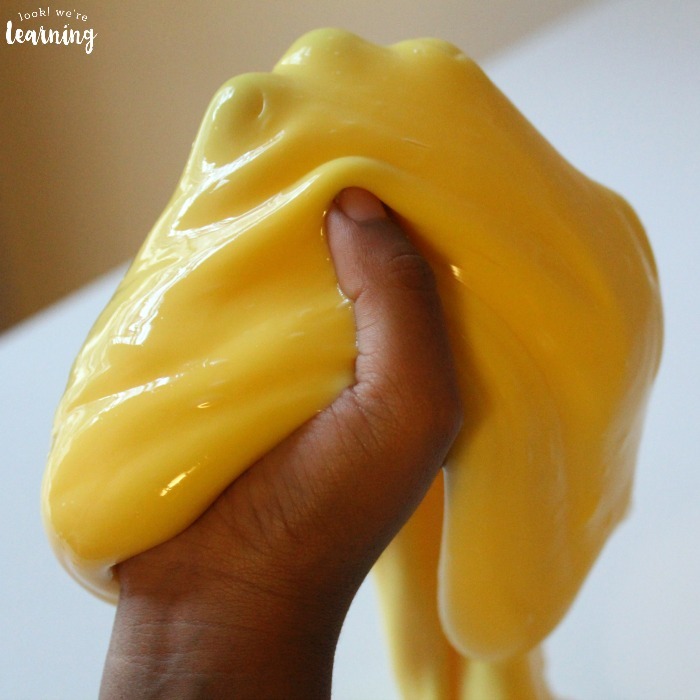 Read on to see how we made flubber using just a few household ingredients! 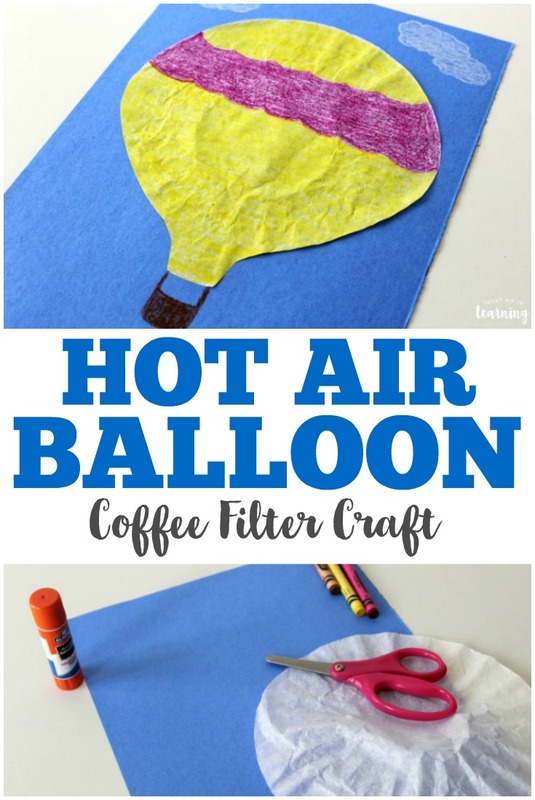 And if you like this simple activity, check out our list of super easy preschool crafts you can make in just 10 minutes! 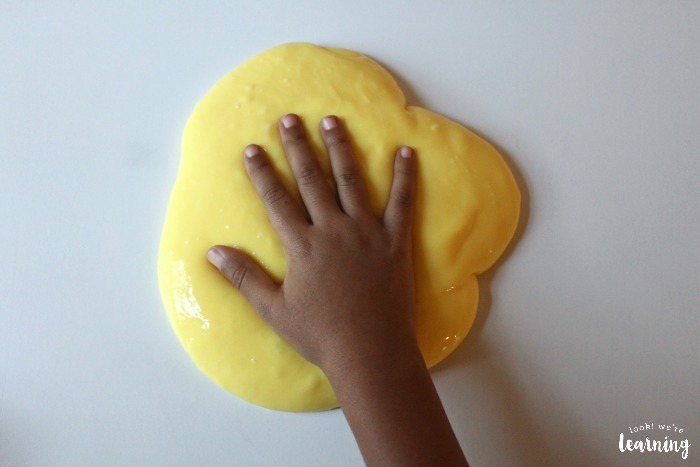 Easy DIY Flubber for Kids! 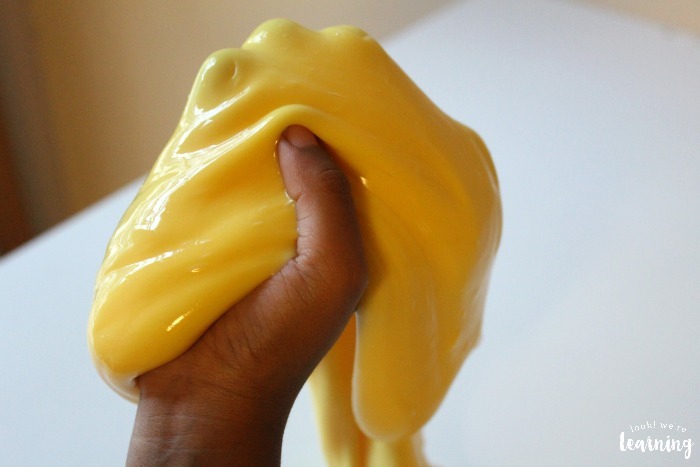 We decided to try out a very popular recipe for making flubber. 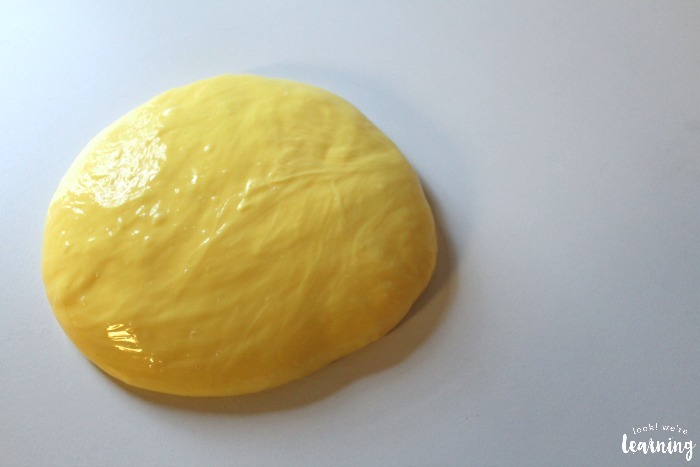 If you’re not familiar with flubber, it also goes by the names “slime” and “gak”. It’s pretty much a stiff kind of “Magic Muck“, which we made a while back. But it’s very solid, so it’s easy to clean up after. Win! 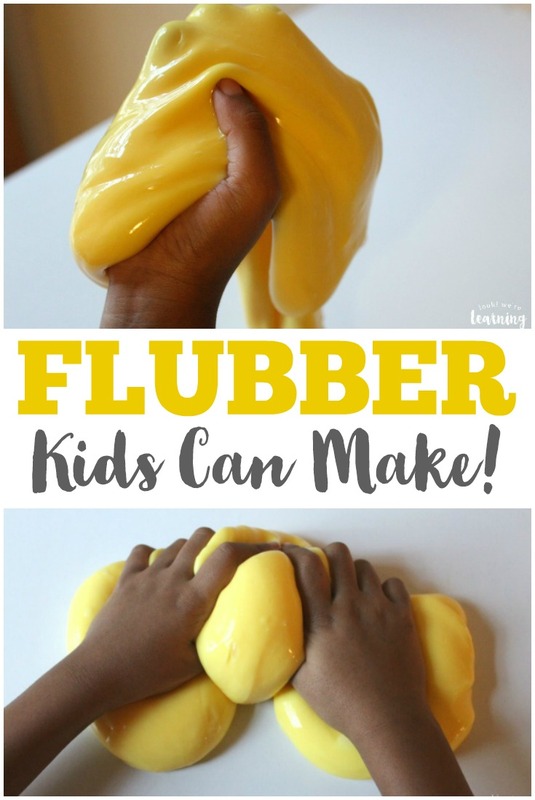 The project was originally shared from Live Craft Eat and it turned out to be a great recipe for DIY flubber! It took about five minutes. The kids were fascinated at the various textures of the flubber. It felt slippery initially, but then it turned rubbery the more we used it. 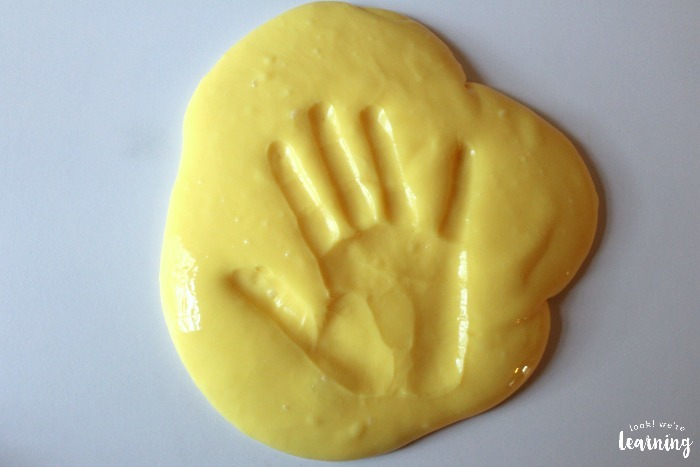 We could even make handprints with it! 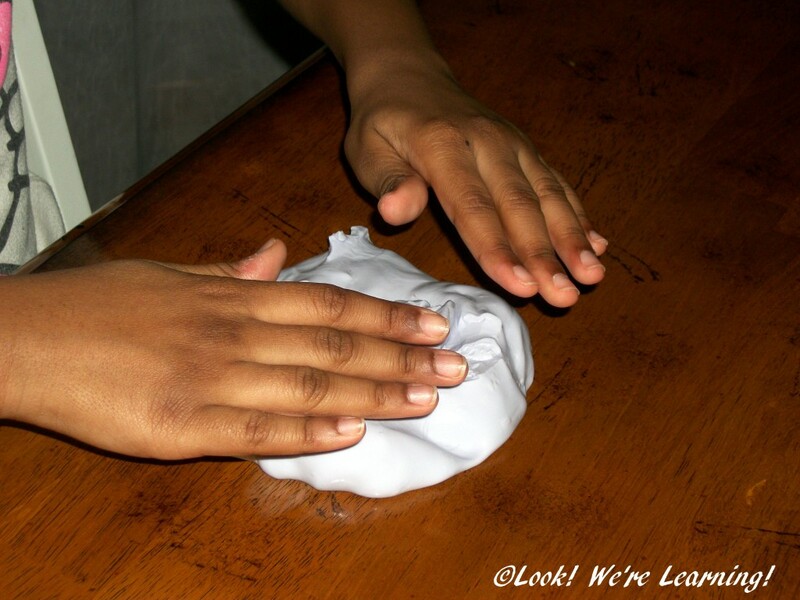 We also found that when we stretched the flubber out and then let it sit on the table for a while, it returned to a single flat puddle on its own. 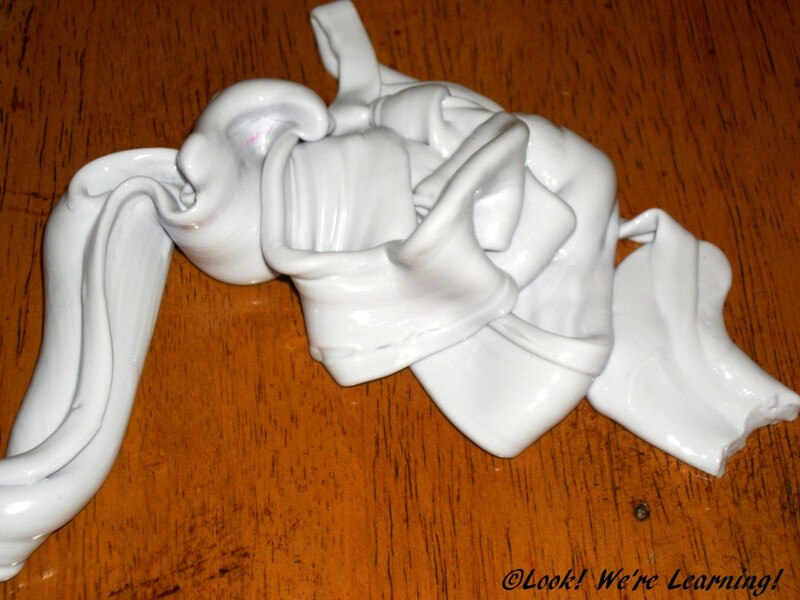 It even breaks cleanly when you pull it, but it slowly returns to a flat blob in time. But if you pick it up, it will run through your fingers! Super, super cool. 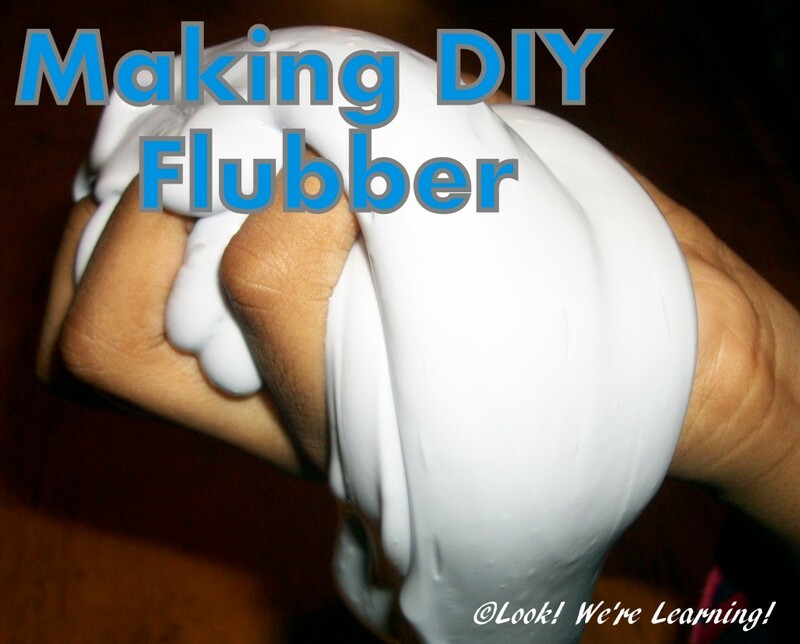 Have you tried learning how to make DIY flubber? Did the recipe work out? Let us know your experiences in the comments! 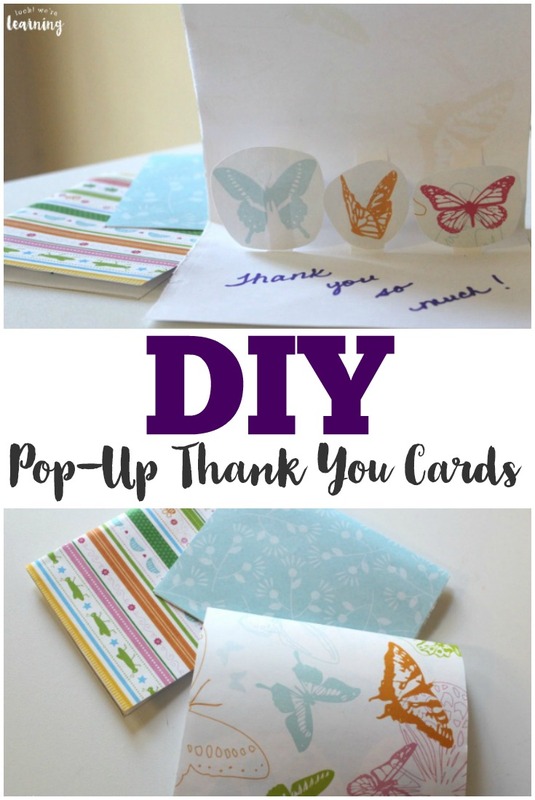 Try these other great crafts for kids! 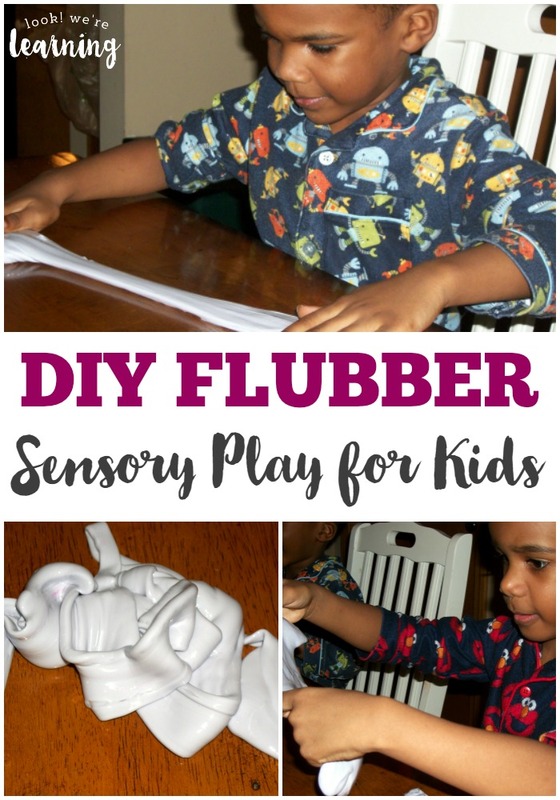 And see even more sensory ideas on my Sensory Play Pinterest board! 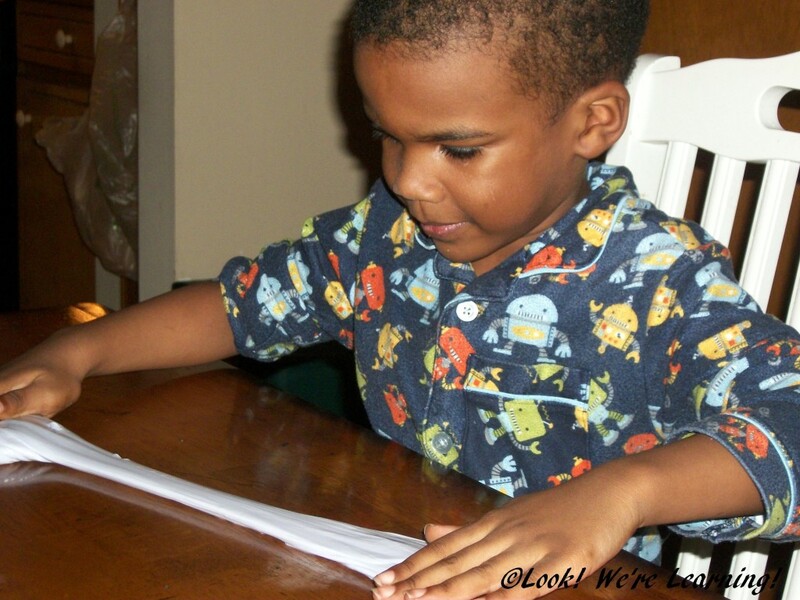 You can get even more craft and sensory ideas for kids when you sign up for our email newsletter! Just use the widget below to sign up! Hi! Thanks for visiting! The link to the complete tutorial at Live Craft Eat is in the post. I’m hesitant to republish the complete directions here, since the recipe is not mine. But if you visit the link to Live Craft Eat, you’ll see the step-by-step process.